This is an unusual design that I worked out. It's a variation on some other open back hex twist flower type layouts. It utilizes the bias between triangle grid pleats to alter the formation somewhat. It also has a finishing touch that folds over the edges of the resultant petals. 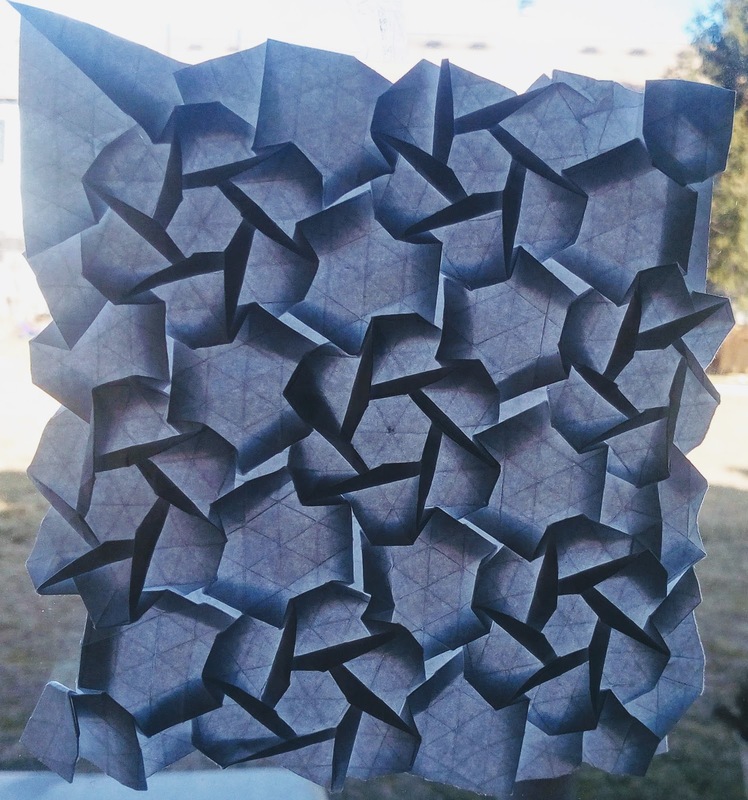 You can forgo that last step and still have a pretty nice tessellation. I just thought it would be interesting to add that additional element. It wasn't very difficult to fold nor to map. I may have a single module somewhere which I can upload a photo of at a later date. 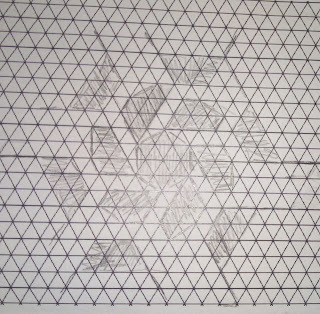 Just used some large polygons to connect the repetitions. 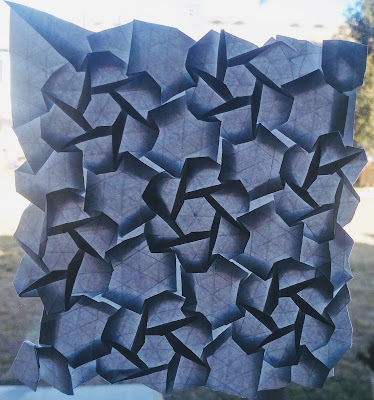 This was done with open back hex twists. It might be interesting to try something similar with small hex twists. 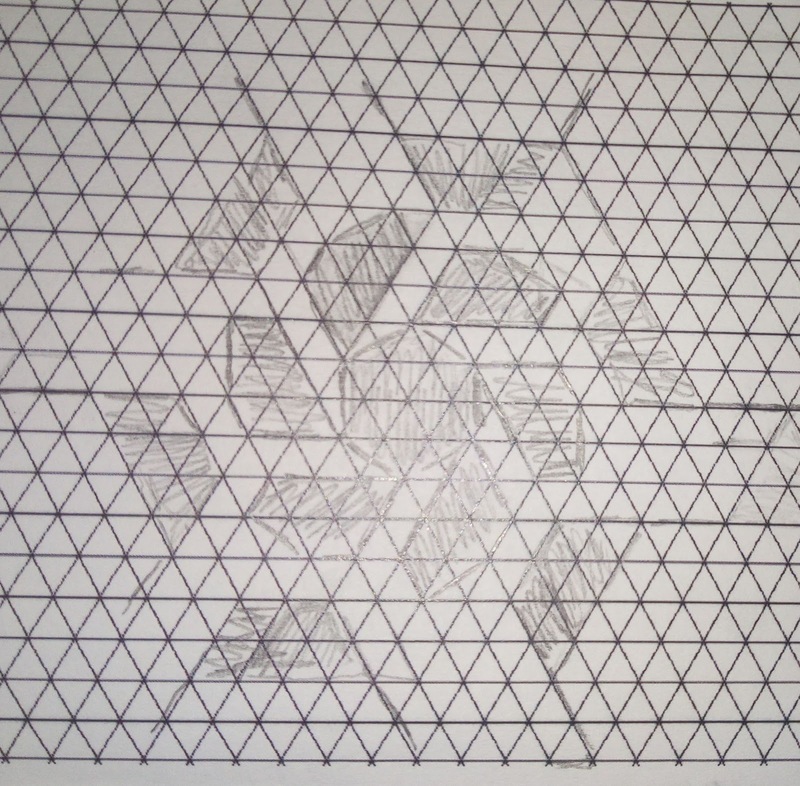 A preliminary crease pattern sketch is shown.